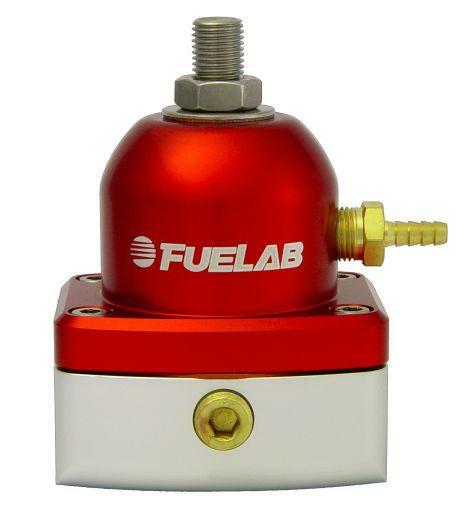 FUELAB 525 Series In-Line Fuel Pressure Regulator UNIVERSAL - MiataRoadster - Stay tuned with MiataRoadster! FUELAB 525 Series Fuel Pressure Regulators are designed with performance and flexibility in mind. They accept port style and non-port style union fittings without interference. Several configurations are available, supporting carbureted applications as low as 1 PSID to fuel injected applications up to 125 PSID. The 525 Series has its return port in-line with the inlet port (not on the bottom) which allows for easy installation in extremely tight locations.